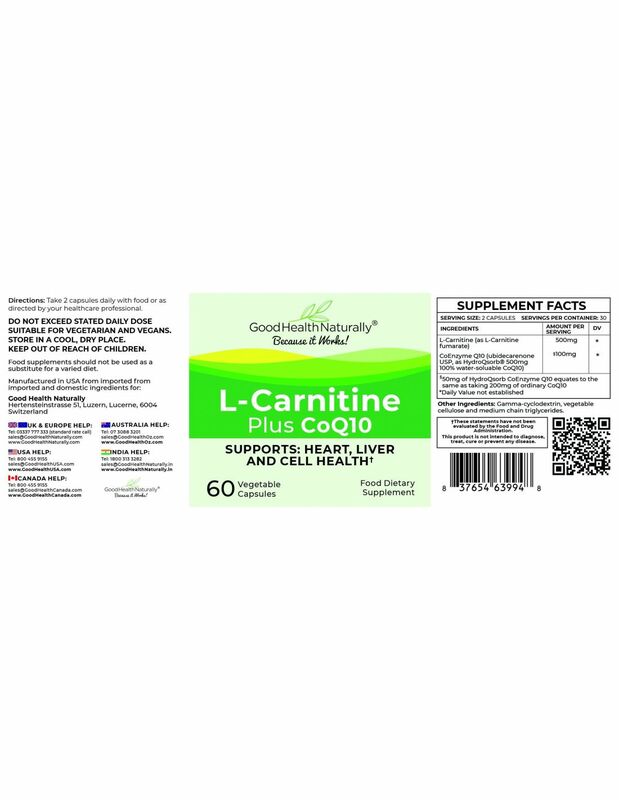 While CoQ10 benefits your health by sparking energy within the cells, L-carnitine is thought to be like a shuttle, bringing fuel into heart cells to be burned as energy. Without sufficient of both essential components you will be less likely to burn fat efficiently, and will likely have much less energy. L-Carnitine supplementation may help your body to prevent fatty build-ups, especially in the heart and liver. L-Carnitine is not an amino acid in the strict sense (it is not used as a neurotransmitter or in protein synthesis). However L-Carnitine bears many resemblances to amino acids and is usually grouped under this heading. 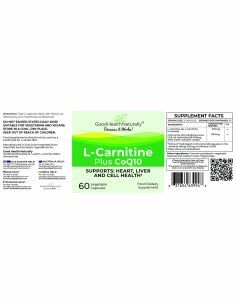 L-Carnitine (the "L" refers to its chemical polarity) is used by the body to transport long-chain fatty acids to the mitochondria in your cells, where they are burned for energy. Since this fat burning is such a major source of muscular energy, deficiencies in L-Carnitine are manifested as low energy levels and muscular weakness. L-Carnitine deficiencies can also appear as mental confusion or cloudiness, angina (heart pain) and weight gain. The Answer is Triple Strength L-Carnitine+CoQ10! If you aren't burning fat, you must be storing it. This obviously leads to a variety of health problems, including fatty build-ups, especially in the heart and liver (more likely to occur if you are a regular consumer of alcoholic beverages).